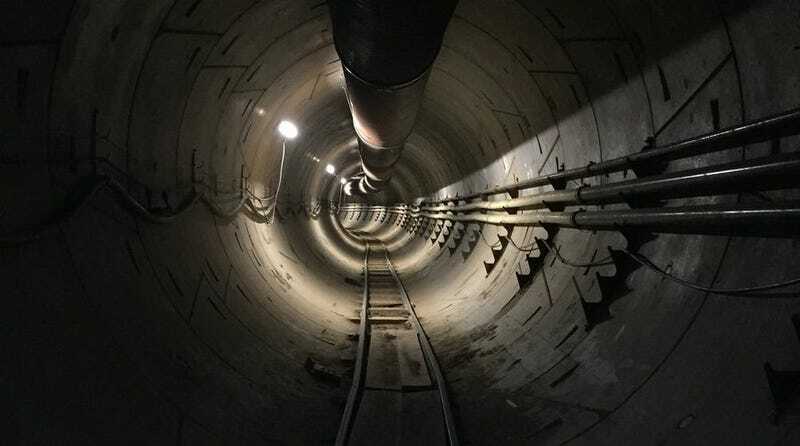 Elon Musk tweeted out a video on Sunday night, showing a high-speed version of a stroll through the two-mile hole built under Los Angeles by the Boring Company, his tunnel-digging venture. The Tesla and SpaceX CEO called the tunnel “disturbingly long.” But given Musk’s past theatrics, it’s also pretty underwhelming. The Boring Company began drilling in early 2017, about a month after Musk complained on Twitter about LA traffic and vowed to alleviate the issue by digging holes. The company he quickly formed started drilling under the SpaxeX headquarters in Hawthorne, California, and burrowed further once his company received approval to build a two-mile underground route. Last month, Musk said on Twitter that the test tunnel would officially open on December 10 and start giving out test rides the next day. 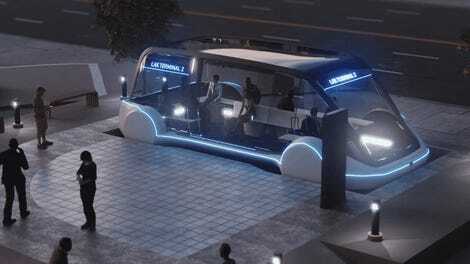 He has said the high-speed subway concept will be able to transport groups of 8 to 16 people at a time, using electric skates, at a speed of up to 155 miles per hour. Comparatively, the Los Angeles subway currently travels just over 25 miles per hour. Now, if Musk delivers, those test riders will have a peek at what the tunnel looks like in person. And according to Musk’s video, it should look like... a regular old tunnel. Of course, regular tunnels can be interesting in addition to being engineering marvels. Maybe this one just needs a little character. Perhaps some graffiti and rat-kings would provide a little more color for the commuters. And while drilling this two-mile hole under a major U.S. city is an impressive feat and could be the beginning of a major shift in infrastructure and transportation, we just thought maybe—based on the early concept videos and Musk’s penchant for sci-fi aesthetics—that the tunnel would look a little more like our Tron-inspired fantasies. Elon Musk Says High-Speed Subway Test Tunnel Will Open December 10 in L.A.